The nature of life is to change." 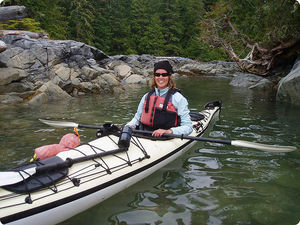 Let Coldspring Paddling Instruction teach you to enjoy the freedom of paddling a kayak, and to do it in a safe, comfortable and efficient way that will keep you paddling for many years to come. Learn to kayak, whether it's for an evening out on the quiet lake at the cabin, or as the foundation for a grand adventure in northern Saskatchewan and beyond.